← Award Eligibility Posts, Monday Mornings When I Was Ten, and the Fascination of Word Counts. I’ll be one of the authors appearing at the UKYA Extravaganza at Waterstones, Birmingham High Street, UK on the 28th February. Tickets for this are £3 and will be on sale from 10.00 today (Call 0121 633 4353)and I expect them to go extremely fast. I should also be at Southcart Books, Walsall on the 7th Feb.
1 Response to February events. 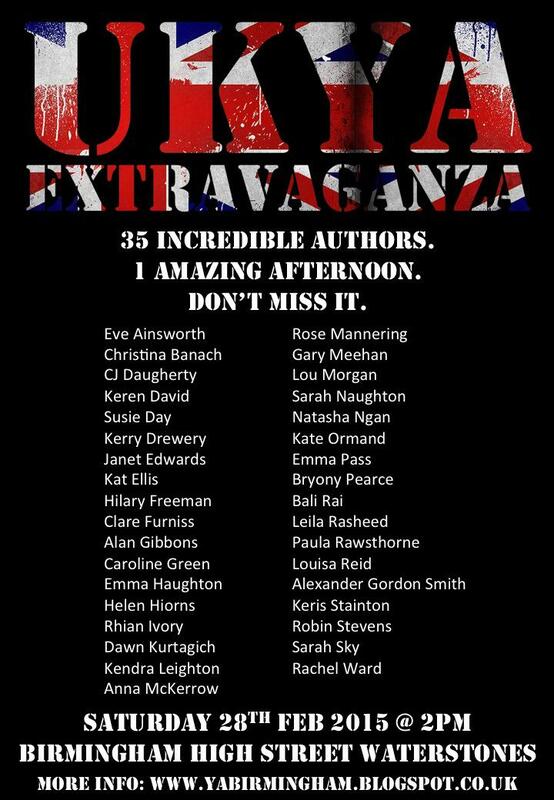 Some excellent YA authors, including Lou Morgan, Emma Pass and Janet Edwards, are appearing at the UKYA Extravaganza in Birmingham on Feb 28th. Tickets are only £3 and I expect they will go fast – follow the link for details!